Multiple touch screens at the Value Lab Asia, part of ETH-Zurich’s Future Cities Lab at the National University of Singapore. A Swiss simulations expert has demonstrated to Australian urban researchers a futuristic ‘city lab’ for testing urban strategies by manipulating and watching dynamic virtual models. 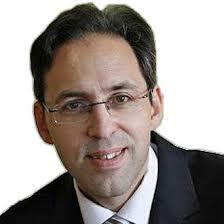 multi- Dr Bernhard Klein of ETH-Zurich’s Future Cities Lab in Singapore. Dr Bernhard Klein, a leader of the Simulation Platform research team at ETH-Zurich’s Future Cities Lab (FCL) in Singapore, showed advanced urban modelling presentation systems at this week’s launch of Simulation Australia’s new architecture and urbanism simulations group. 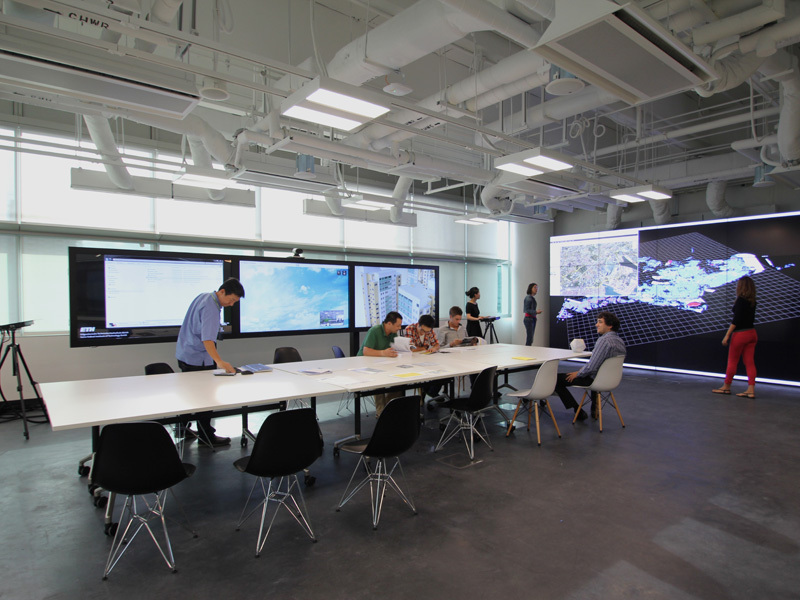 He demonstrated various uses of the FCL’s Value Lab Asia ‘situation’ room in the CREATE Tower on the National University of Singapore campus. Intended to prototype a new genre of ‘city labs’ at public planning centres worldwide, the Value Lab has several mobile surface computing tables (one interacting with a ceiling-mounted scanner/projector) and two walls of multi-touch screens, all linked with a custom-developed suite of software tools, including latest versions of the Esri CityEngine procedural modelling system which was invented by FCL researchers in Zurich some years ago. All the Value Lab’s basic equipment and programs are ‘tied together’ with a shared ‘Simulation Platform’ (aka ‘Simulation Pipeline’), on Microsoft’s Windows operating system. Not forgotten are traditional physical models, which these days can be kept up to date by 3D printing of powder-and-resin structures off digital prototypes; ETH-Z has installed robotic systems for large-scale 3D printouts. Klein and three other FCL researchers, Eva Friedrich, Pieter Fourie and Zeng Wei, showed their current computational modelling methods for visualising and analysing GIS data on transport and neighbourhood dynamics. The Simulation Australia architecture and urbanism workshop was convened by NSW Registrar of Architects, Tim Horton, who suggested that new systems of ‘computational planning’ are needed to ‘bring integrity to Australia’s architecture and urban planning system’ … to help combat ‘deep suspicion’ among stakeholder groups battling major new infrastructure projects. They are demanding that government authorities must ‘show us the evidence’, he said.